As enterprises become more distributed and migrate applications to the cloud, they will need to diversify their network performance management tools. 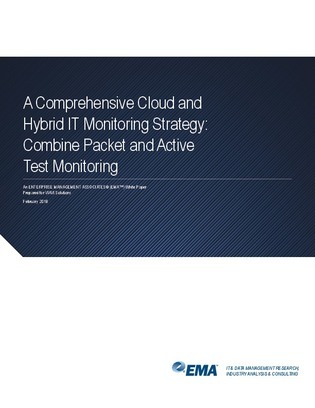 In particular, network operations teams will need to complement packet-based monitoring tools with active test monitoring systems to enhance visibility into the cloud and help enterprises scale monitoring gracefully and cost-effectively. Find out how network test traffic analytics is positioned to help unlock this visibility, and learn how you can maintain high app performance even in complex cloud environments.